Ahmed Malek was one of the most important musicians of the Algerian scene of the 1970s. His sountrack works that were composed for various Algerian movies of the time fuse Arabic influences with jazz, psych and funk influences. Dark cineastic soundscapes meet african Jazz at times reminicent of Mulatu. 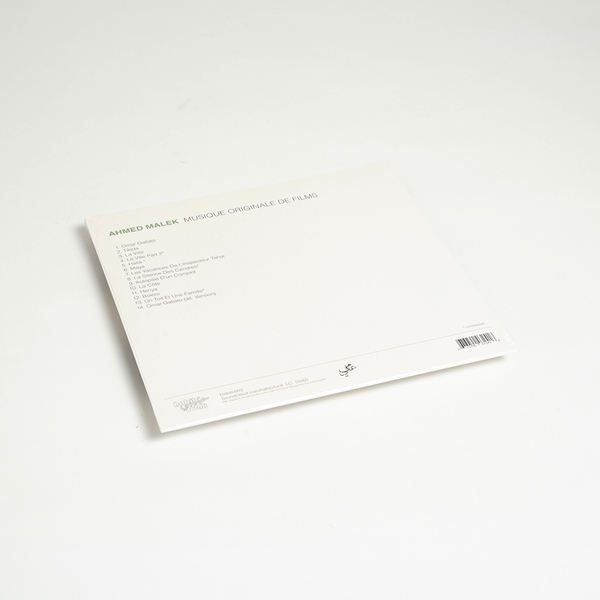 Original copies of his vinyl releases have been sold for enormous amounts - this release combines the strongest tracks from his releases with a selection of unreleased material straight from the archive. "Introduction: I still remember the first time I heard Ahmed Malek. It was 2012. Back then I didn't know much about Arabic music, but I was about to leave Berlin for a couple of weeks to go to Tunisia. I was working as a project manager for a music recoding session which ended up being released by Jakarta Records as the "Sawtuha" release. I knew I would have some time off during my stay and I was certain that I would dedicate some of this time to diggin. I askesome people whether they knew of any titles that I should look for. Roskow, who also ended up re-mastering this release, told me about an Algerian composer called Ahmed Malek whose music was also released in Tunisia. 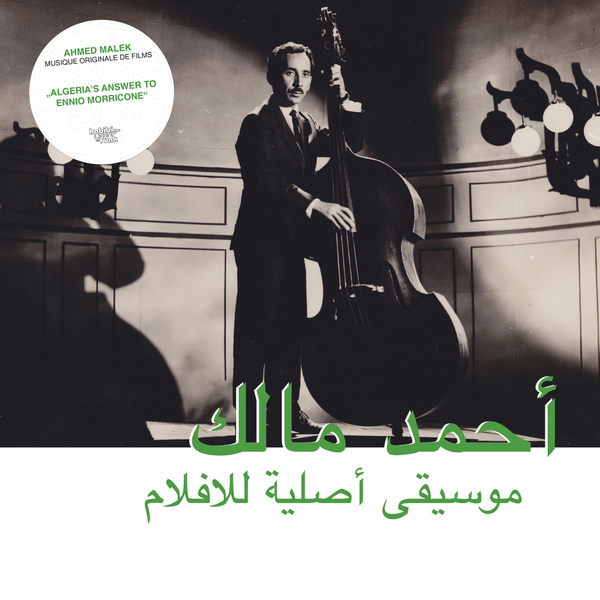 Fast forward three years: Arabic records have become my number one hobby and luckily I got my hands on a copy of Ahmed Malek's "Musique Originale De Films" album. I already knew some of the tracks but listening to the music the way it was originally released, and not as a crappy Youtube version, made me fall in love with Malek's compositions all the more. It manages to create this very special mood: melancholic and reflective, emotional and touching, but never depressing. Even without having seen any of the pictures created for this, it immediately brings visuals to one's imagination. Around that time I became captivated with the idea of reissuing some of Ahmed Malek's music. I knew some people had tried to locate his family but, but with no success. In the end it was an incredible amount of luck that made it possible for you to read these words and listen to this record. I had a DJ gig in Beirut playing old Arabic records and I mentioned my passion for Ahmed Malek's music to a friend. She said she knew one person in Algier, and as much as it would be a shot in the dark, she could ask her if she had an idea of how to find Malek's family. Two weeks went by before I heard back, and what I got was incredibly good news. Her Algerian friend was the neighbor of Ahmed Malek's daughter! I'm not a spiritual person, but it felt like the universe wanted to see this release happen." Includes 8 page 12" size booklet with unseen photos, an interview with the artist from 1978 and an introduction to Algerian cinema.